In case you haven’t figured it out by now, we live in the South and in the South, iced tea is kind of a big deal. Sweet iced tea to be exact. And that’s perfectly fine from a transplant like myself because as a kid I LOVED Lipton sweet iced tea’s that had lemon in them. Little did I know that drink had a name, and was being drunken religiously south of the Mason-Dixon line. Fast forward several years and I drink half and half’s with most of my meals when I eat out, and I miss it when I travel up North. The first time I sat down in a restaurant back home in Chicago and asked for one and got a look of “what the hell is that” kind of gave me a rude awakening. So being the big fan of the beverage, you KNOW I have to celebrate it’s national holiday. 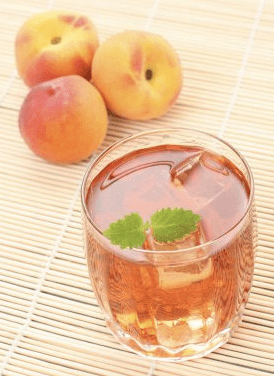 June 10th is National Iced Tea Day so we’ve got a few cocktail recipes for you courtesy of FireFly, the brand that practically put sweet tea flavored vodka on the map. Now, sweet tea vodka is its own category with over 15 different brands taking up room on the shelf but these guys were one of the first to do it, and do it right. Mix into tall glass over ice. Add a splash of O.J. and sweet and sour mix. Pour your Vodka in first followed by the lemonade. Mix according to your liking. Add all ingredients together and enjoy.